Kumar is the sole provider for his family. He runs an ironing service in Bengaluru that brings in between $6 and $7.50 a day, enough to barely get by. When the power cuts out two to three times a day in the summer for as long as four hours, Kumar has to leave the irons dormant and he brings home much less. Cities that are already struggling to provide clean, affordable and reliable energy to residents like Kumar are finding it challenging to keep up with the pace and scale of growth. But the challenge will only get steeper: more than 2.4 billion more people will live in cities by 2050, with growth mainly in Africa and Asia. In 2012, only 58 percent of the urban population had access to electricity in low-income countries. Nearly 500 million urban residents worldwide used dirty cooking fuels like charcoal and wood, which contribute to hundreds of thousands of premature deaths each year. Switching to modern cooking fuels, such as liquefied petroleum gas (LPG) and electricity, would dramatically reduce indoor air pollution, improving health and, in many cases, saving time and money. Cleaner cooking fuels also benefit the whole city, as household heating and cooking are significant sources of outdoor air pollution. There are several examples of countries showing strong leadership in the transition to clean cooking. 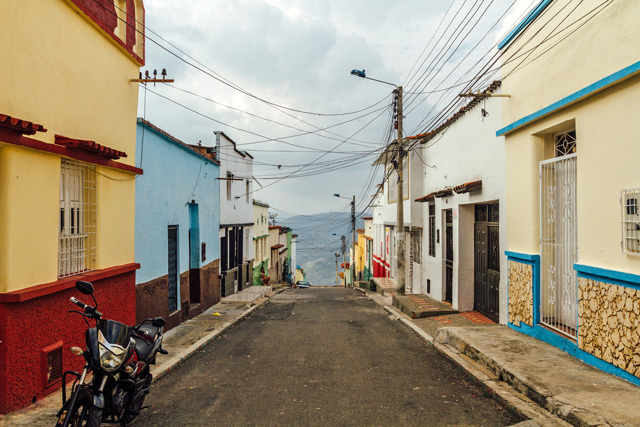 In the 1960s, less than 20 percent of Brazilian households had access to liquefied petroleum gas (LPG) or natural gas. The government created national infrastructure for LPG production and distribution, developed a retail market for LPG distribution, and subsidized fuel for poor families. Now, 100 percent of urban households have access to LPG. The 19th-century approach to electrification that relies primarily on expanding the grid cannot bridge the energy access gap in the global south alone. Distributed systems like solar panels offer affordability, reliability and productivity benefits to the under-served. The average cost of electricity from residential rooftop solar in India and China is already within the same range as natural gas-fired electricity and continues to decline. In sub-Saharan Africa, too, solar is taking off. In 2015, the number of households using pay-as-you-go solar systems – where companies rent equipment to consumers for a small fee, often paid via mobile phone – doubled to between 450,000 and 500,000. At scale, rooftop solar systems can offer savings due to the avoided costs of new transmission infrastructure, contribute to climate change mitigation, and create job opportunities. Residential and commercial buildings are the largest consumers of energy in urban areas. Relatively small changes to building codes and regulations can reduce energy use by up to 50 to 90 percent in new buildings and 50 to 75 percent in existing buildings. Using the best available individual household appliances and equipment can further reduce energy costs by 40 to 50 percent. Better, cooler buildings also make cities more livable and resilient during heatwaves and bring health benefits. Every kilowatt-hour saved in cities that depend on power stations using dirty fuels reduces air pollution and greenhouse gas emissions. Countries in the global south have already demonstrated the benefits of energy efficiency measures. Ghana, which enacted the first air conditioner appliance standards in sub-Saharan Africa in 2000, is projected to save $775 million by 2020. In Mexico, national energy efficiency standards and labeling programs resulted in $3 billion savings to consumers from 2002 to 2014. These solutions require action by many urban stakeholders, including national, state, and local governments, the development community, and civil society. Many cities in the global south are already acting, including hundreds that have signed on to the Compact of Mayors, a pledge to reduce greenhouse gas emissions in urban areas. Cape Town and Bengaluru have started net metering programs. Delhi has developed a roof rental model for solar systems. Tianjin has developed its own ambitious energy efficiency building code, above and beyond China’s national code. These efforts should be applauded, encouraged and replicated. 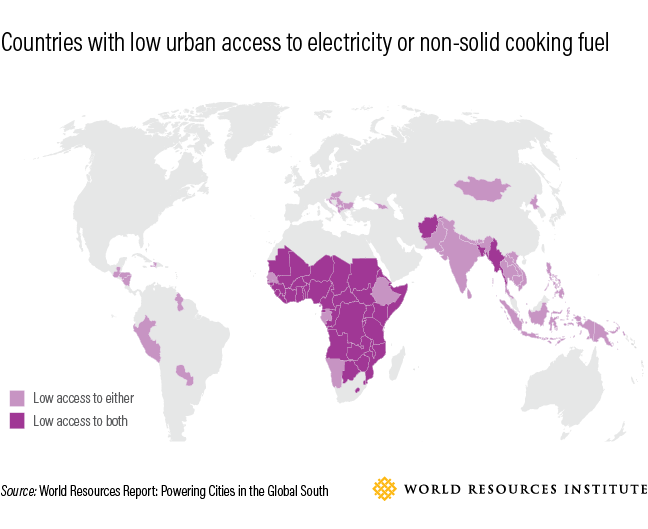 Download “Powering Cities in the Global South: How Energy Access for Benefits the Economy and the Environment,” by Michael I. Westphal, Sarah Martin, Lihuan Zhou and David Satterthwaite, from WRI.org. Michael Westphal is a senior associate in WRI Ross Center’s sustainable finance team.